If you are looking for the best coffee maker with grinder, you might have seen hundreds of coffee machines. There are thousands of reviews on different coffee makers, enough to mentally exhaust any under caffeinated individual. Here, we've narrowed down the best coffee machines that come with a grinder and all the possible considerations that go into buying one. While there are loads of products you can opt for, the most important piece of the puzzle when it comes to making a delicious and aromatic cup of coffee is indeed the coffee grinder. It is a vital component that makes up a wonderful arsenal for making a perfect mug of your favorite coffee, giving you the strength and will power to plough through the rest of day without yawning. When coffee beans are grinded, they instantly release natural oils that add flavor and intensity to your coffee. The process of evaporation, however, will keep the ground coffee beans fresh. It really doesn’t even take a full hour for fresh coffee to lose all its intensity and taste dull. So, what can you do here? Well, that is easy, as all you have to do is get the best coffee maker with grinder, not just any coffee machine, but one that features a built-in grinder. To keep things easy, fast and simple, coffee machine manufacturers have designed an all-in-one solution, which adds a grinder into the machine. This can help you save time and effort on manually grinding coffee beans and the whole works. The only change in your coffee making routine once you buy a coffee maker with grinder is to get whole-coffee beans instead of pre-ground beans. Some coffee machines with built-in grinders also feature a hopper on top of the grinder where you can store your whole-coffee beans. This way, you won't have to keep adding and storing coffee beans all the time. It is important to understand the types of grinders incorporated in coffee makers. There are basically two types of coffee grinders. However, it is important to select the right one. Your selection will determine the taste and strength of the cup of coffee your drink every morning. Blade grinders are quite budget-friendly and are probably the best choice if you want to save money. Blade grinders are designed to slice coffee beans into tiny pieces. You can think of a blade grinder as a propeller blade. It is exactly how they work. However, it is important to realize that blade grinders are noisy and the sound can be quite annoying, but most people don't mind it because of the quality of coffee it helps you make. This is also probably the reason why blade grinders are more cost-effective than their counterparts, i.e. burr grinders. Burr grinders have recently become quite popular, and many people prefer them over blade grinders. They don't exactly function like their counterpart. 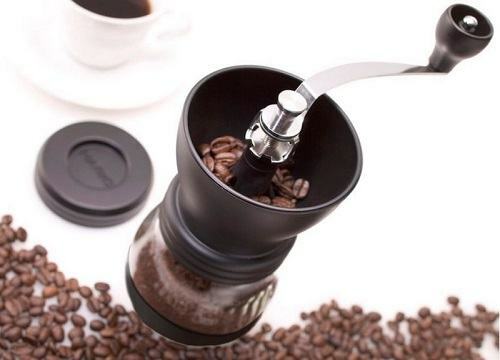 These grinders work by crushing whole-coffee beans, converting them into a powdery substance. They do this by crushing them hard against the surface with a grinder wheel. However, when it comes to burr grinders, there are two options. You can either go with conical grinder wheels (which are known as conical burrs) or you can settle for coffee makers with flat grinding wheels (which are known as wheel burrs). When you talk about affordability, the wheel burr should be your top choice. But if you don't like loud noise in the morning, like most people, the conical burrs are a perfect choice. They are far less noisy than wheel burrs and don’t make any mess either. 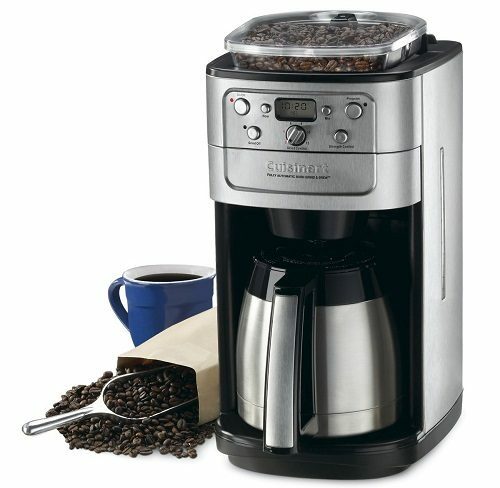 The Cuisinart DGB-900C Grind and Brew is designed to make a perfect cup of coffee. 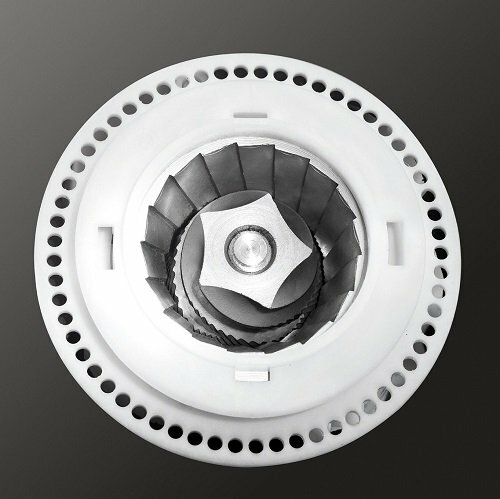 The machine features a conical burr, which pretty much takes up about a majority of the machine's girth. However, the conical grinder can produce tasty coffee with all the natural aroma and flavors. 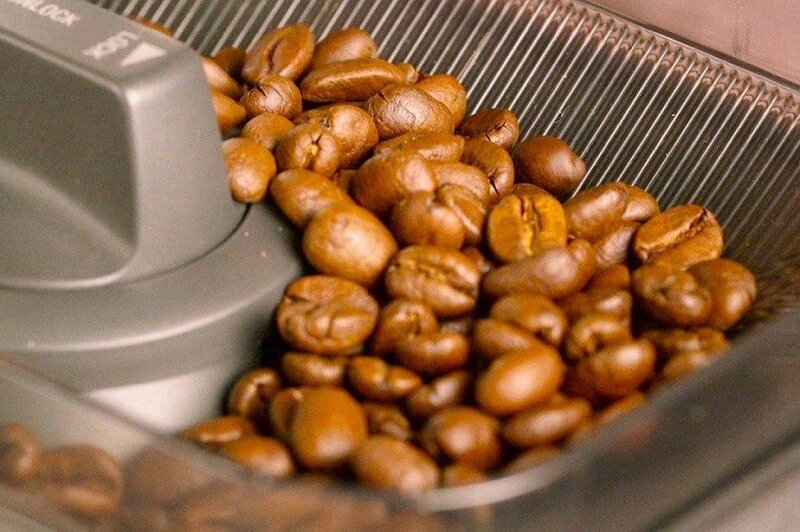 After you put the whole-coffee beans in the grinder, the machine automatically starts crushing them. 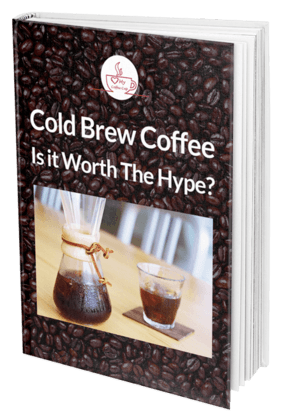 The process can be controlled before you start brewing coffee. However, the best thing about the machine is the grinder does not diminish the quality of the coffee beans, which means you will enjoy a perfect cup of coffee every morning. 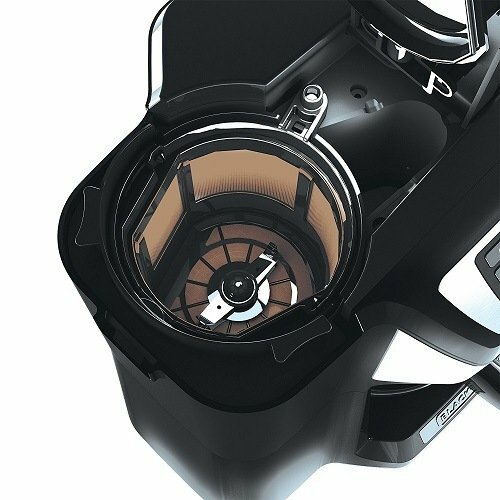 This coffee maker with grinder is as sophisticated as your choice and taste in coffee. 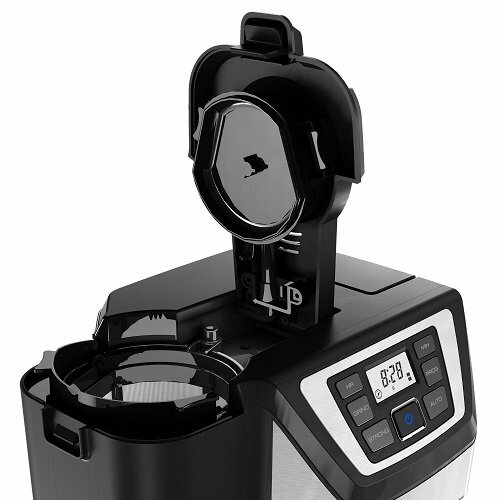 The Black & Decker CM5000B can make up to 12 cups of coffee and can turn whole-coffee beans into a perfect batch of fresh and aromatic coffee in no time. 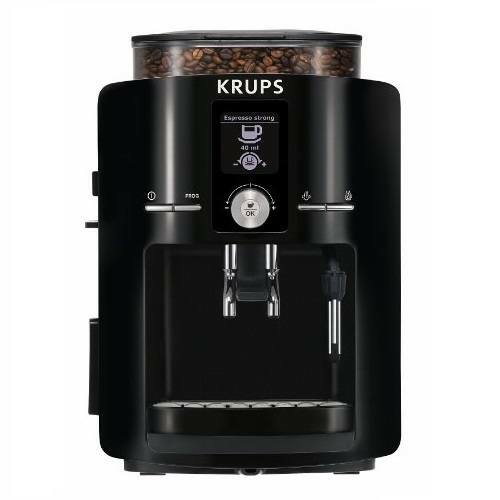 The machine features QuickTouch programming providing you a whole range of brew control, temperature settings and automatic brew functionality. The machine has a bronze grinder that can be removed easily and is simple to clean. 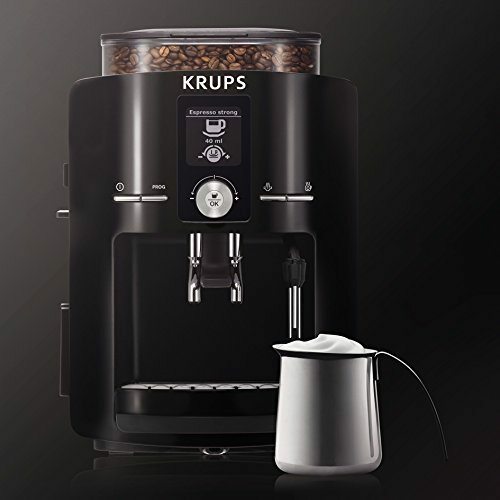 If you are looking for a quick and delicious cup of espresso, Krups ﻿﻿﻿EA8250 Espresseria is the best coffee maker with grinder for you. 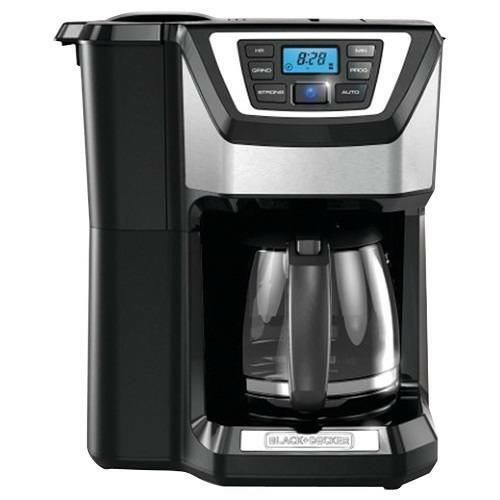 The bean-to-cup coffee maker is for people who are looking for a perfect cup of coffee without any hassle. The unique selling point of this coffee maker is the fact that its bean-to-cup range is rather comprehensive. On top of that, the machine is designed with one-button functionality. All in all, these are some of the best products available if you are in the market for a powerful, hassle-free and reliable coffee maker with grinder. Always go for a coffee maker that suits your requirements.